American writer MARY PLATT PARMELE (1843-1911) believed that in the typically dry presentation of her day, the reading of history was a "dreary task," and so she set out to remedy that with a series of sprightly chronicles of the past and accounts of the present that encompassed the essential facts necessary for appreciating the state of the world as she saw it. As Parmele herself said, "A little, thoroughly comprehended, is better than much imperfectly remembered and understood." 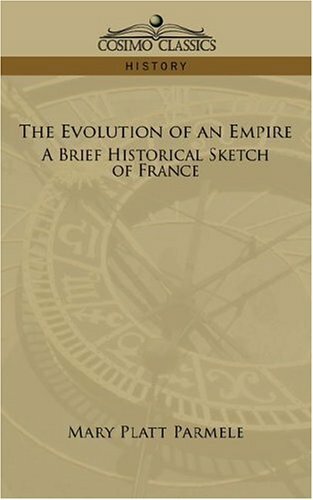 This three-volume series The Evolution of Empire, includes A Brief Historical Sketch of France; A Brief Historical Sketch of the United States and A Brief Historical Sketch of England.